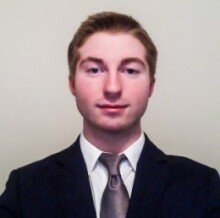 ATLANTA, August 9, 2016 – Hospitality Upgrade Publisher and President Rich Siegel today announced that Penn State School of Hospitality Management student, Spencer Rung, was chosen as the 2016 recipient of the John Cahill Student Seat at the upcoming CIO Summit to be held September 7-9, 2016, in Philadelphia. Mr. Rung is a senior at The Pennsylvania State University and plans to graduate in December with a hospitality management degree. He currently serves as the President of the Penn State Student Chapter of the Hospitality Finance and Technology Professionals (HFTP), and received the HFTP Greater Philadelphia Chapter Scholarship in November 2015. Over the last few months he has worked on various projects to include a large POS system implementation and rollout as an intern for Strata Bare International. The creation of the John Cahill Honorary Seat is a very special addition to the annual CIO Summit. Each year one student will be awarded an exclusive invitation to attend the CIO Summit in Mr. Cahill’s honor. Hospitality Upgrade first announced this special addition at the John Cahill Memorial Reception at HITEC 2016 in New Orleans. Hospitality Upgrade produces the annual CIO Summit – a unique, invitation-only event for chief information officers from hotel brands, management companies, cruise lines, gaming and independent hotels. This year’s CIO Summit will be hosted in Philadelphia on Sept. 7-9, 2016. For more information about The CIO Summit, please visit www.hospitalityupgrade.com/CIOSummit.